Keep your documents safe and always ready to hand with our leather park wallet. 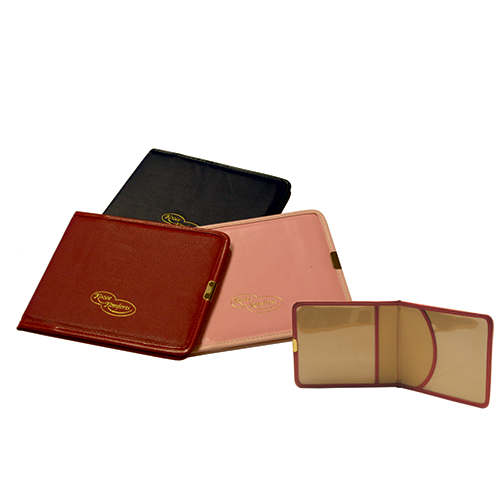 It contains two transparent pockets custom made to display and protect your badge and disc allowing easy access for setting the time without removing the disc from the pocket. They are available in a choice of Blue, Pink or Maroon.